Metro Catering provides professional, quality catering services in San Diego and throughout Southern California. 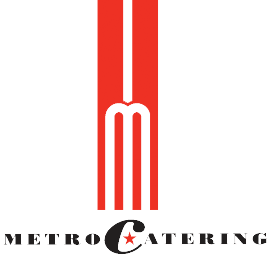 Recognized for exceptional, healthy cuisine and wonderful service, Metro Catering is a high end boutique catering and event planning company, that has distinctive dedication and style that assures satisfaction. Our sustainable kitchen is the standard for pure, simple and eco-friendly wholesome food, utilizing fresh local organic produce, natural, hormone free meats, California free range poultry and sustainable seafood products. Original menus are personally designed, utilizing both the local marketplace and our specialty purveyors who understand our passion to serve the best. We strive to create the best experience for every client, every time. The principles that guide our business are timeless values of honesty, integrity and confidentiality. Fair and consistent pricing promises that everyone will experience the quality food they deserve. Our mission is to help our community of clients and their families lead a delicious life. Metro Catering doesn’t just plan events - we make them happen! Please browse our website and let us serve your next celebration or catered event with style. Metro Catering is a full service caterer and event planner located in San Diego, California. The beginnings of the business go back to 1993 when owners Dean and Cheryl launched their first custom catering company by delivering quality, casual food to the boardrooms of local business and corporations. The business quickly expanded to include upscale, quality food prepared from scratch, and first class service for board of directors’ retreats, cocktail receptions and holiday parties. It wasn’t long before word got out to private clientele, philanthropic organizations and educational institutions that Metro provided, beyond compare, delicious innovative food combined with personal and professional service. Today, the company brings to you decades of diverse experience and an educated palette, delivering creative seasonal cuisine and gracious, personalized hospitality that sets the standard for culinary excellence in San Diego. Metro catering can attend to all your custom catering needs for luncheons, meetings, seminars and special events. Please call our catering consultant for assistance.